2019 Hailie Deegan #19 Monster Energy / NAPA Power Premium Plus / NASCAR K&N Pro Series West Las Vegas Dirt Win / Raced Version / Toyota NASCAR 1/24 diecast, by Action Lionel. 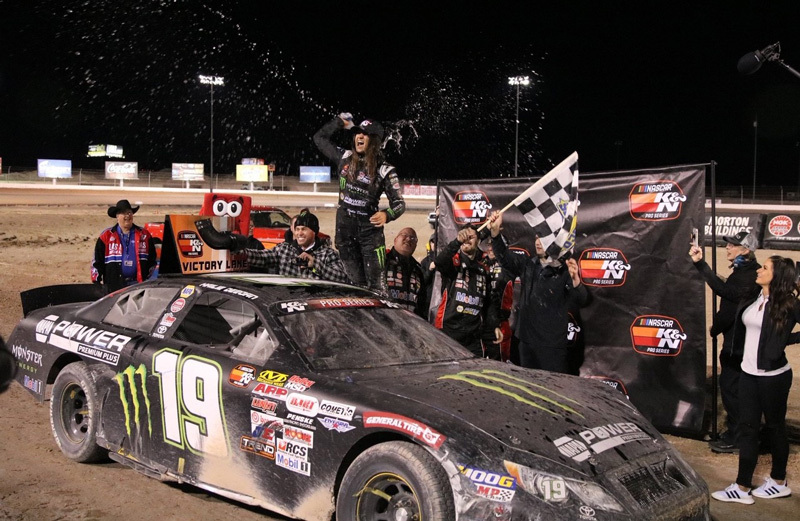 Hailie Deegan raced this Bill McAnally Racing #19 Monster Energy Toyota to victory in the NASCAR K&N Pro Series West, Star Nursery 100 at the Las Vegas Motor Speedway Dirt Track on February 28, 2019. 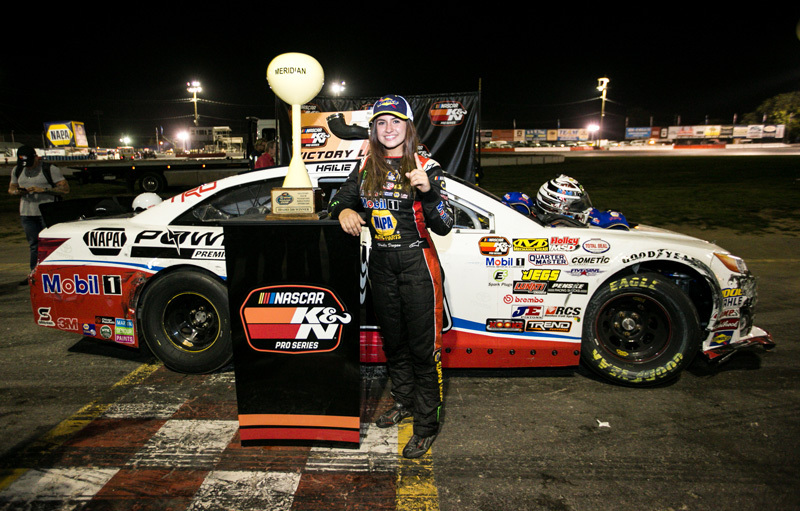 This was 17 year-old Hailie Deegan's 2nd career NASCAR K&N Pro Series West win. This car will be produced on a base. 2019 Hailie Deegan #19 Monster Energy / NAPA Power Premium Plus / NASCAR K&N Pro Series West / Toyota NASCAR 1/24 diecast, by Action Lionel. 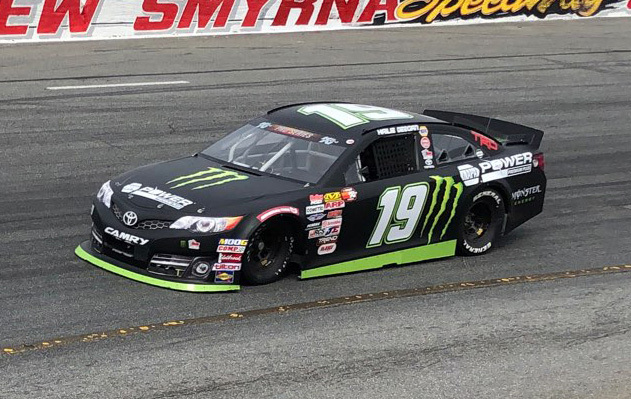 This Bill McAnally Racing #19 Monster Energy NAPA Toyota will be raced by Hailie Deegan during the 2019 NASCAR K&N Pro Series West season. Hailie Deegan will also race this car in select K&N Pro Series East races. This car will be produced on a base. 2018 Hailie Deegan #19 MOBIL 1 / NAPA Power Premium / NASCAR K&N Pro Series West Win / Raced Version / Toyota NASCAR 1/24 diecast, by Action Lionel. Hailie Deegan raced this Bill McAnally Racing #19 MOBIL 1 NAPA Toyota to victory in the NASCAR K&N Pro Series West, NAPA Auto Parts Idaho 208 at Meridian Speedway on September 29, 2018. 17 year-old Hailie Deegan raced into the NASCAR history books, becoming the first woman to win a NASCAR K&N Pro Series West race.